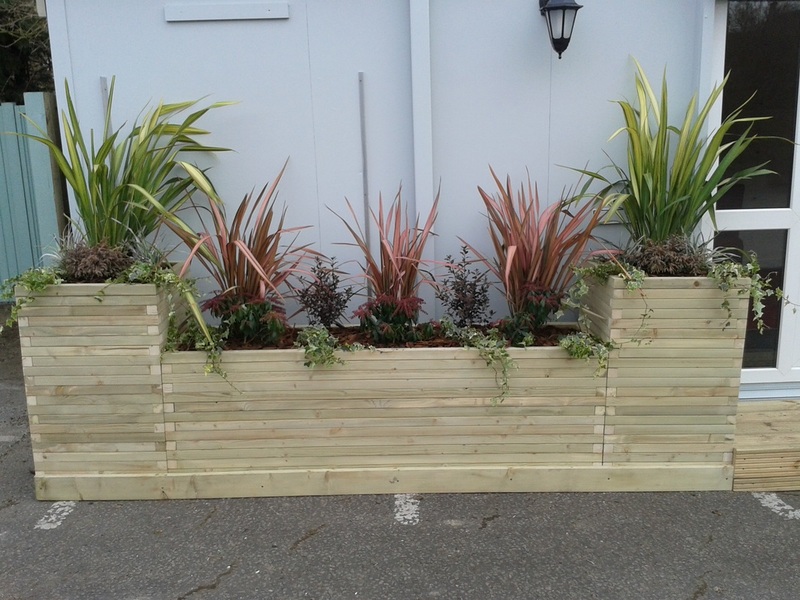 We were asked by our clients to create a couple of bespoke planters and a step, for the entrance to their temporary marketing suite. As you can see in the photo, the ground was uneven and the slope had to be compensated for in the construction. temporary and definitely made it more inviting.